A nice little utility created by PMCR that calculates the power consumption for NX I/O, provides the I/O layout for a given allocation, creates symbols for use in CX-Programmer and aliases for use with an RSLogix5000. The Generic EDS file allows Omron CJ, CS, NJ PLCs / MACs to connect to 3rd party EtherNet/IP devices when the manufacturer is unable to provide an .eds file. Ethernet universal utility for OMRON controllers. - Real time graphic and table monitoring controller variables. This is a Forward / Reverse calculator for Omron IR addressing in CP1, CJ1, CJ2, CJ1 processors. It will take an address (such as DM0), and convert to the equivalent internal address (10000 HEX). It will also calculate in the other direction and show that 10000 HEX is D0. 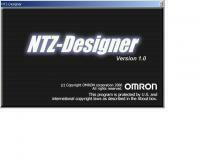 Delphi program unit for Ethernet exchange PC- Omron controllers or Trajexia. Free ActiveX Control for Omron CS1, CJ1, CJ2, CP1H, CP1L, CP1E PLCs using FINS Ethernet. This is an updated version of the same from 2 years ago. The OMRON FINS Color Coded Messaging Tool was developed to assist users in understanding, testing, and debugging FINS messages. The Tool sends messages to devices such as PLCs via the FINS UDP protocol, and receives the responses for the user to interpret. Each Command or Response byte in the Tool can be color coded to identify unique sections of the FINS command. Each command, and optionally the response, can be saved for later use, and the color coding is saved with in the file. Once a command is successfully working in the Tool, the user can choose to build the corresponding CMND instruction to copy / paste into a PLC, if a PLC is the device that will send the FINS command in the users application. Version 2.1 updated 4/11/2013 to include auto generation of Structured Text code for the Sysmac NJ / Sysmac Studio. The attached 2 VB projects are 'generic' TCP client and TCP server applications that allow the user to test PLC socket services, as well as other non-Omron applications. I cannot take author credit for these 2 tools, but they are items that I use frequently. Just populate the green fields and symbols can be pasted straight into CXP. This is the project originally submitted by Jay Anthony upgraded to VB.net. This program allows communication via Ethernet to an Omron PLC. Please let me have any feedback on this!! graphics 6 variable (DM,EM,CIO) at real time regime. for 6 variable Omron PLC (DM,EM,CIO). 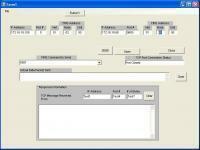 Free ActiveX Control for Omron CS1, CJ1, CJ2, CP1H, CP1L, CP1E PLCs using Serial (CV Mode Hostlink). Sample Code in VB for Omron Hostlink Protocol. Just helping you in Omron integration /yes.gif style=vertical-align:middle emoid= border=0 alt=yes.gif /> .